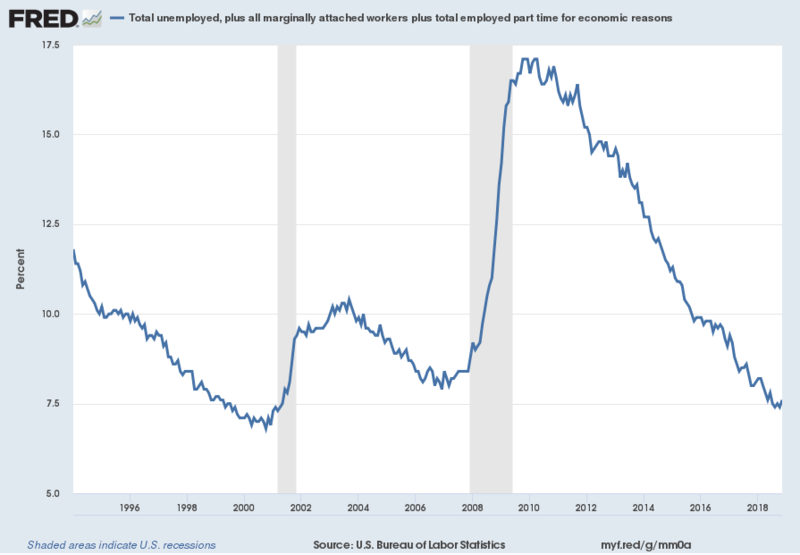 Of course, there are many other employment charts that can be displayed as well. Of note, many economic observers use the U-6 rate as a (closer) proxy of the actual unemployment rate rather than that depicted by the U-3 measure. 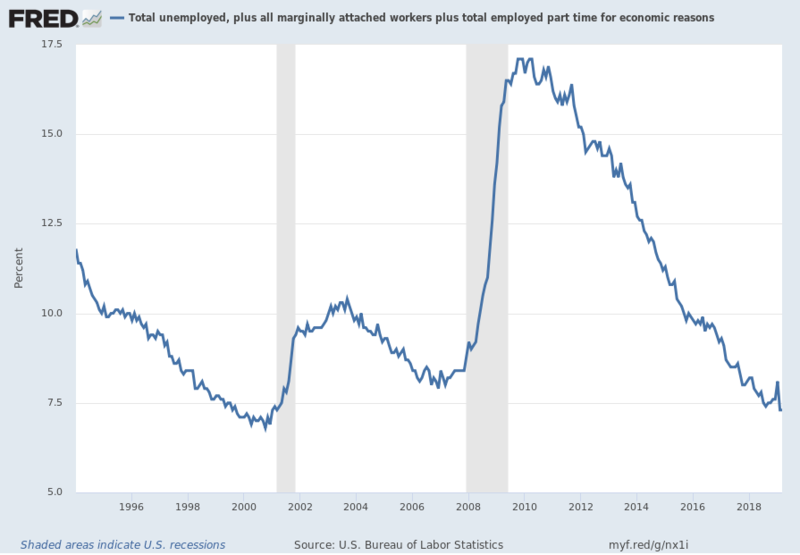 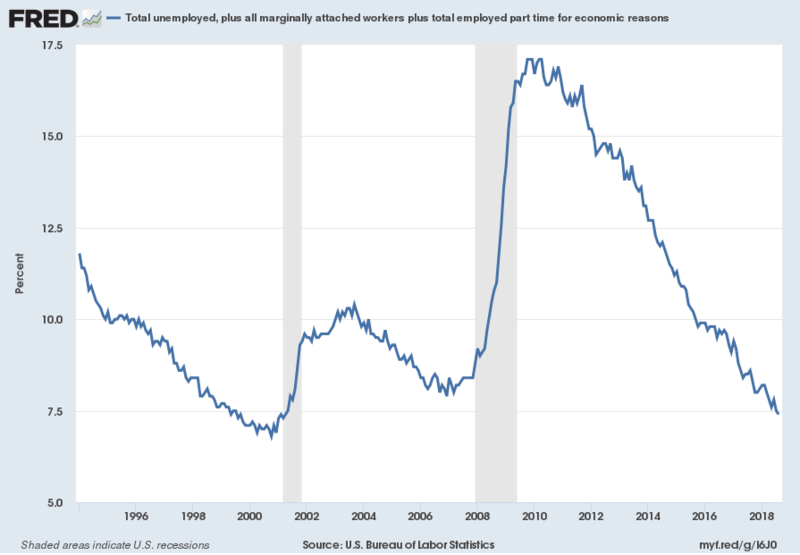 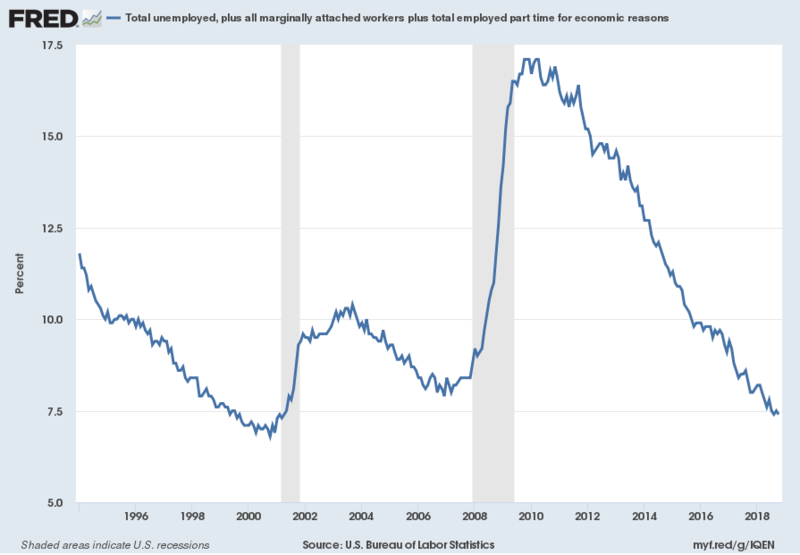 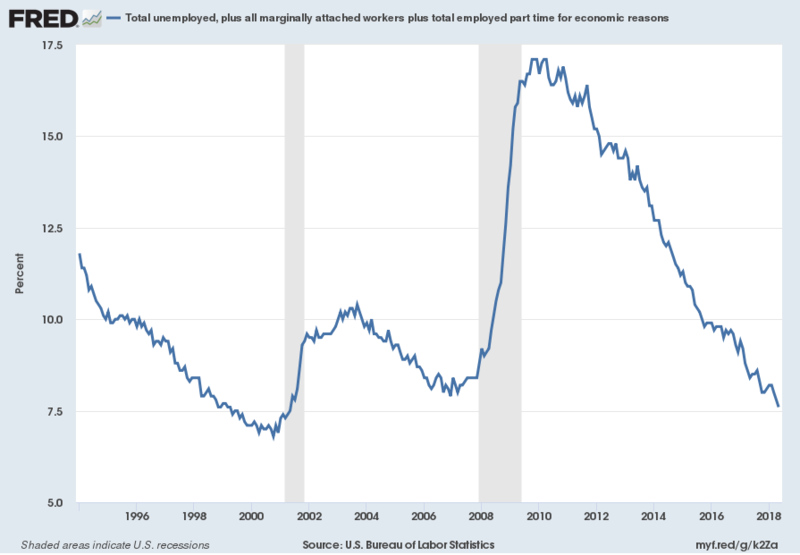 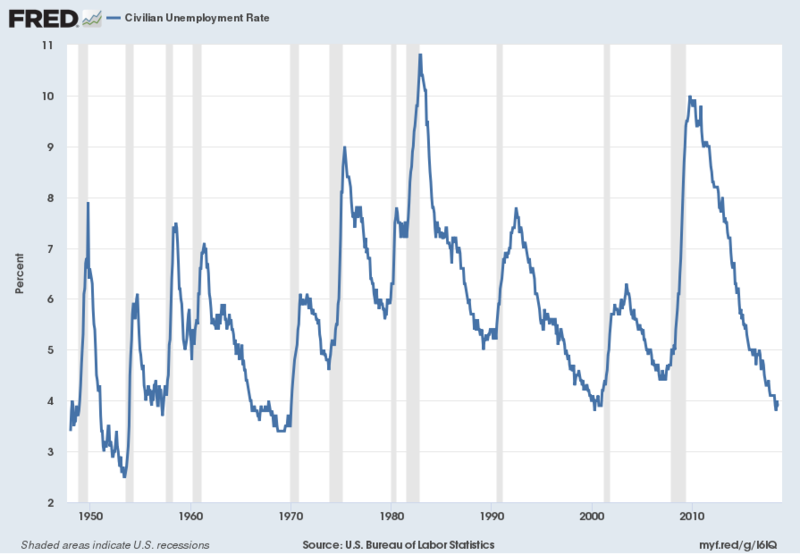 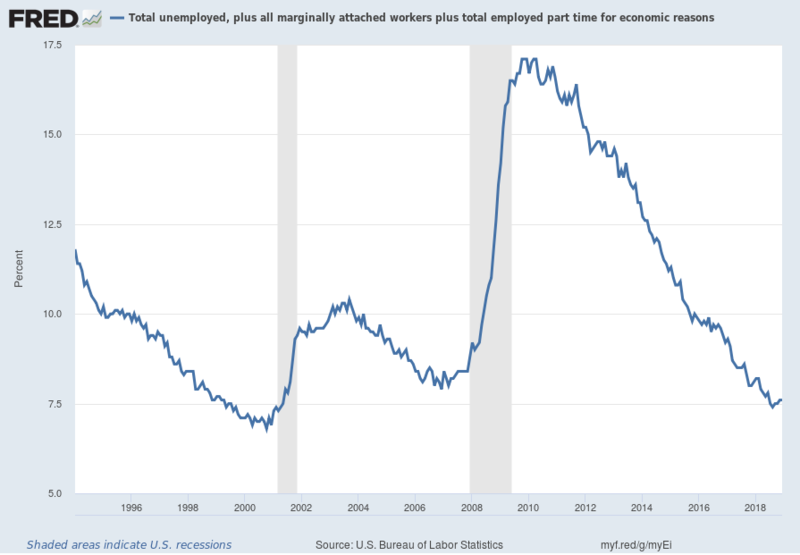 This entry was posted in Unemployment and tagged unemployment rate on April 5, 2019 by Ted Kavadas. 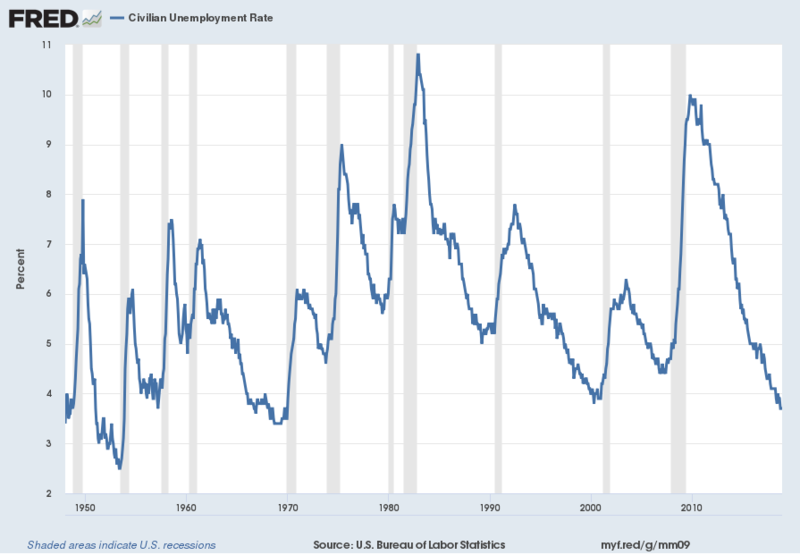 This entry was posted in Unemployment and tagged unemployment rate on March 8, 2019 by Ted Kavadas. This entry was posted in Unemployment and tagged unemployment rate on February 1, 2019 by Ted Kavadas. This entry was posted in Unemployment and tagged unemployment rate on January 4, 2019 by Ted Kavadas. 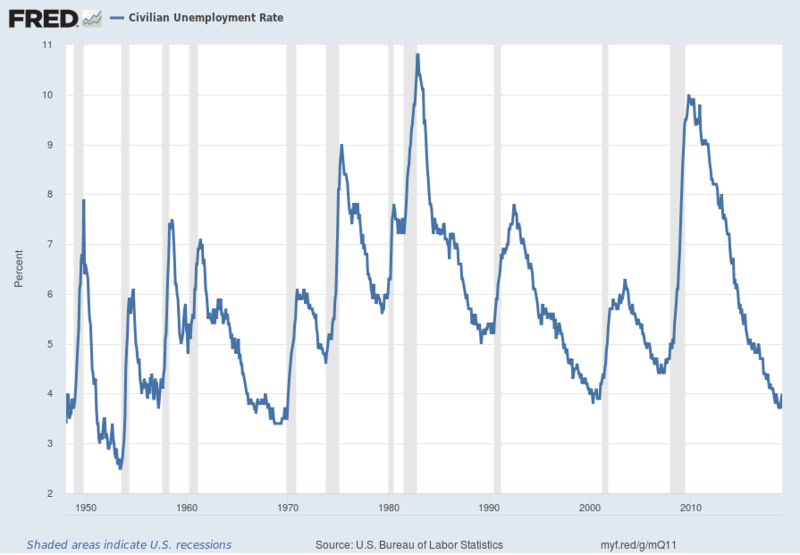 This entry was posted in Unemployment and tagged unemployment rate on December 7, 2018 by Ted Kavadas. This entry was posted in Unemployment and tagged unemployment rate on November 2, 2018 by Ted Kavadas. This entry was posted in Unemployment and tagged unemployment rate on September 7, 2018 by Ted Kavadas. 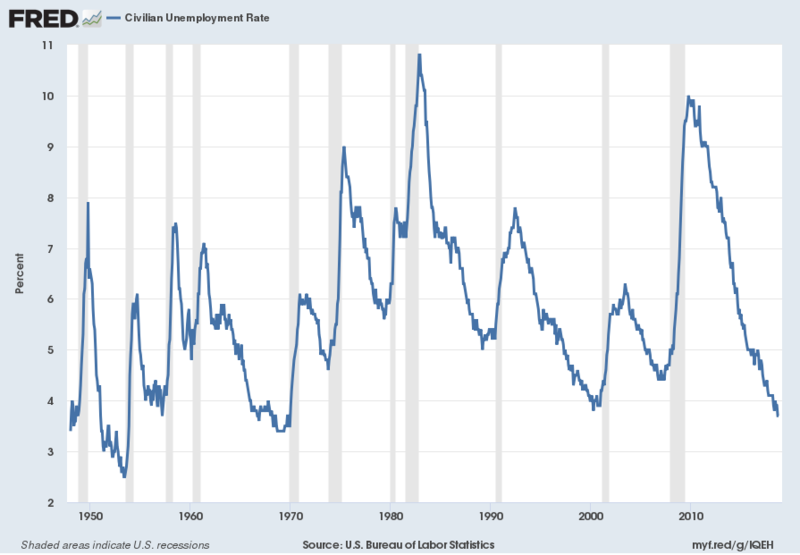 This entry was posted in Unemployment and tagged unemployment rate on August 3, 2018 by Ted Kavadas. This entry was posted in Unemployment and tagged unemployment rate on July 6, 2018 by Ted Kavadas. 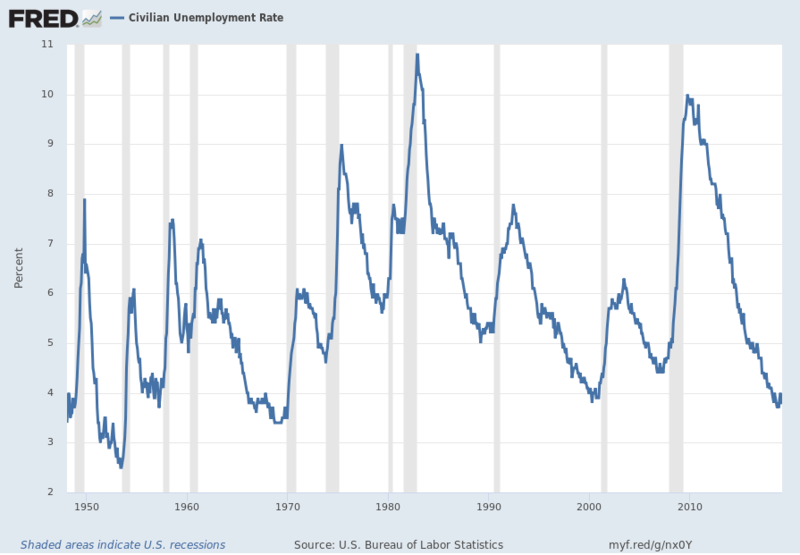 This entry was posted in Unemployment and tagged unemployment rate on June 1, 2018 by Ted Kavadas.